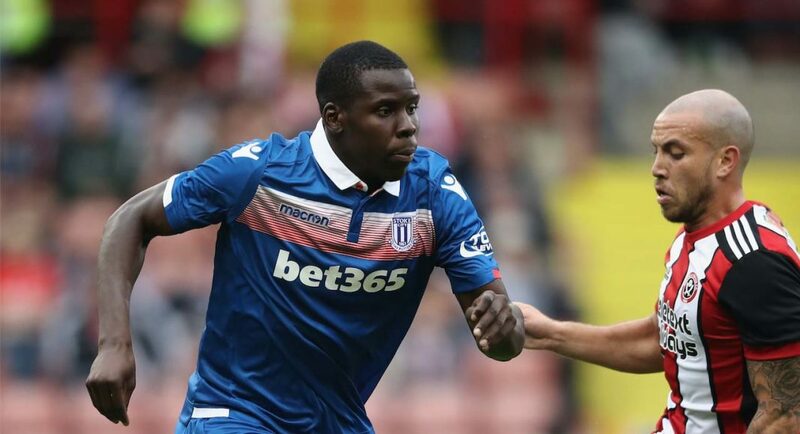 Stoke City manager Mark Hughes believes that on-loan Chelsea defender Kurt Zouma has everything he needs to become a top defender in the future, writes the Sentinel. Zouma, 22, joined Stoke on a year-long loan this summer, following in the footsteps of fellow Chelsea players Victor Moses and Marco van Ginkel who have also enjoyed loan spells with the Potters over the last couple of seasons. The centre-back has started both of Stoke’s Premier League matches so far this season and Mark Hughes has been impressed with what he has seen from Zouma – already a French international. “He’s started really impressively, but it doesn’t surprise me,” Hughes, a former Blue himself, revealed to the Sentinel. “He’s a top player first and foremost. He’s got power, pace, height, stature… all those things you need from a top-level defender. As well as talking about the potential of Kurt Zouma, the Stoke City manager spoke about the benefits of a special relationship his club have with Chelsea and is hoping that the affiliation with the current Premier League champions leads to more quality signings. “We’ve had the benefit of other Chelsea players come here on loan and that stands us in good stead,” the Stoke City boss explained in his interview with the Sentinel. “Victor Moses and Marco van Ginkel have gone back and given glowing reports of us, so Chelsea know they are going to a good place. “It (the relationship with Chelsea) seems to be working well and may well continue in the future. Chelsea are set to play Stoke on the 23rd of September, yet luckily for the Blues, Kurt Zouma will be watching from the sidelines as he will be ineligible to play against his parent club.